Portable gadgets are a great thing to have, but the only downside is the fact that they need to be recharged every now and then. One is usually too pressed for time to charge all the gadgets. Most of the time we just carry them around in a bag and take them out when needed. 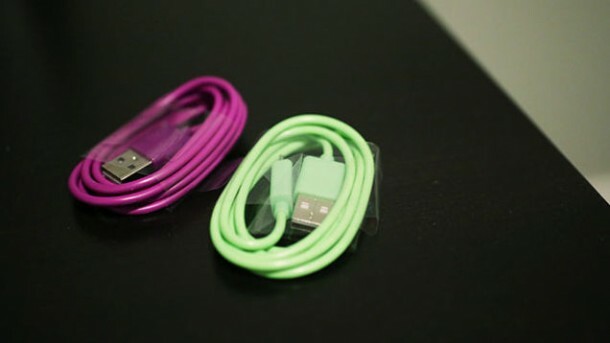 We have compiled a DIY guide for you to create your own gadget-charging bag that you can keep with yourself. The plus side? 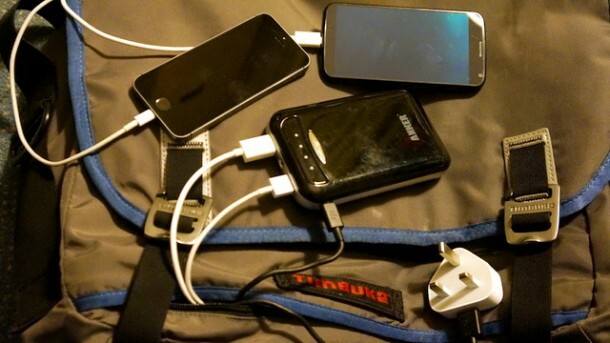 You simply need to charge the battery of the bag and all your gadgets shall be charged via the battery. This will save you the time and trouble that you’ll go through when you have to individually take the gadgets out and charge them. You will need a USB battery with high capacity, at least 10,000mAh and a bag of your choice, preferably the one with pocket areas. 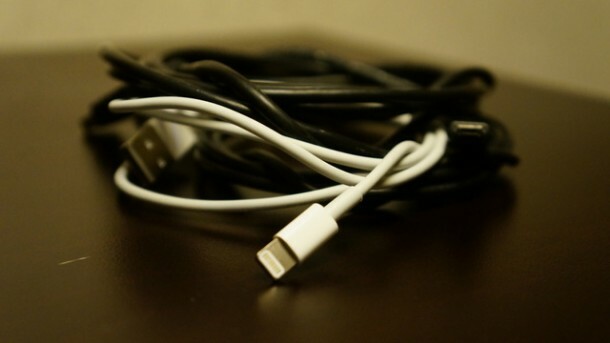 Make sure you have 3-6 ft. cables for your gadgets. You will also need knife or scissors and a sewing kit to fix the damage that is inevitable for the bag to incur. For this project you need a battery that has a high capacity (at least 10,000mAh) and can charge gadgets while charging itself too. 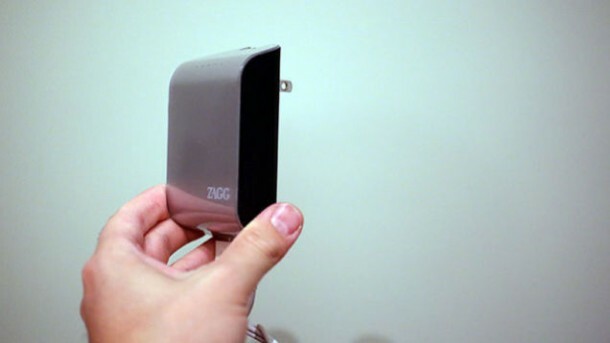 This is important – you must get a battery that can charge itself and still spare some power for the gadgets that are connected to it. Now that you have decided which battery to use, you need to decide where you will place the battery inside the bag. It’s better to fix it at the back of the bag since it will allow you to route cables easily anywhere in the bag. Place the battery at the selected area. If you’re not lucky then you might have to cut it up and snug it inside followed by adding a zipper or Velcro. However, if you’re lucky you’d be able to just stick it in. 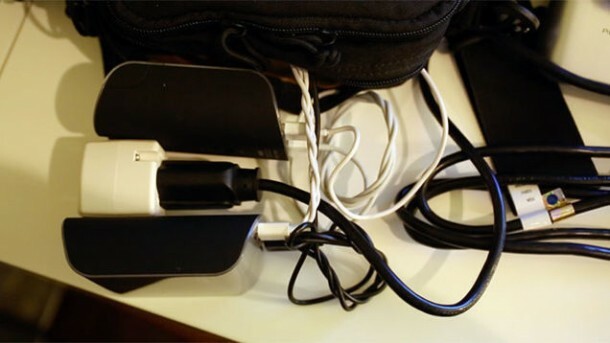 Make sure the USB ports are facing towards where the cables will be going in your bag. The next step involves creating a hole for the plug to pass through. Make sure you cut minimally and only as per requirement. Once you’ve made the hole, sew around it making a whip stitch to ensure that the bag doesn’t fray or unravel. After this, pull the plug through the hole and you’re good to go. The next step involves routing the cables for your gadgets. After you’ve decided the path that your cables will take, you will have to cut holes in the bag for the cables to pass through. Once that is done, sew around the holes like before. Now route the cables and connect them to the battery.